Here, we present a few useful links to websites and documents on rural poultry. Family poultry development - Issues, opportunities and constraints. 2014. FAO Manual. Poultry Development Review. 2013. FAO working paper. - Poultry Development Review. Links to individual chapters. Small-scale poultry production. 2004. FAO manual. Proceedings of a Workshop. 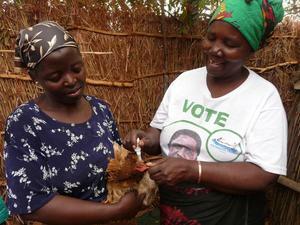 Poultry as a Tool in Poverty Eradication and Promotion of Gender Equality. 1999. FAO workshop, Denmark. 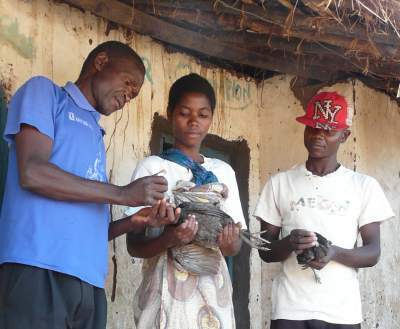 Improving village chicken production: a manual for field workers and trainers. Ahlers et al. 2009. ACIAR Monograph No 139. Manual on meat inspection for developing countries. 1994. FAO. Chapter 7. Specific Diseases of Poultry. A comparison of Newcastle disease vaccines available in Malawi. Rural Poultry Centre in Malawi. Village chickens, poverty alleviation and the sustainable control of Newcastle disease. Proc. 2009. Alders et al. Controlling Newcastle disease in village chickens: a training manual. 2001. Alders et al. Controlling Newcastle disease in village chickens: a field manual. 2001. Alders and Spradbrow. Controlling Newcastle disease in village chickens: a laboratory manual - 2nd edition. 2012. Young et al. Veterinary Cold Chain Manual: ensuring effective vaccines. 2015. Young et al. ACIAR Monograph No. 165a. A manual for practitioners in community-based animal health outreach (CAHO) for highly pathogenic avian influenza. ILRI/FAO 2009. Cannibalism by Poultry. University of Nebraska. 2007. Scheideler and Shields. External parasites on chickens. 2002. Dept Agric. South Africa. Common Lice and Mites of Poultry: Identification and Treatment. 2005. Univ. Calif. Davis. Pub. No: 8162.